We are delighted to announce the names of the ITFC players who will be joining us at the oche for next month’s ITFC ‘Legends of Darts’ event! This annual event is once again taking place at Greshams. 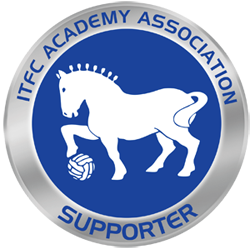 The night will be hosted by ITFC Legend Matt Holland, with proceeds from ticket sales, as well as the raffle and auction, going to the ITFC Academy Association. The event has been kindly sponsored by Plaster Master, Farnham Leisure and Greene King. Darts pros Keith ‘Del Boy’ Deller and Colin ‘Jaws’ Lloyd will participate in a variety of darts challenges during the evening, accompanied by Town players and coaches past and present – as well as Russ ‘the Voice of Darts’ Bray! Our friends from the Ipswich Witches speedway team, who are keen darts enthusiasts themselves, will also be in attendance. We look forward to seeing you at what promises to be an excellent event! *Please note that the attendance of specific players is subject to change due to training schedules etc.